We give you an access to the latest offers from BBQ Bingo ! Win up to 100 Free Spins by playing WOW daily games at BBQ Bingo! Bonus T&C : The promotion is open for members who have received free cards by invitation only. A guaranteed jackpot of £5,000 will be split between FH, 2L, 1Line, 1TG and 2TG and remaining £5,000 cash will be respectively split according to tickets.T&Cs apply. The word barbeque reflects a summer set up where everything is warm and radiant. Rightly so, BBQ Bingo has a 'holiday on the beach' theme where all you want is grilled appetizers and a fun bingo game. What's more is you can enjoy this eventful combination all year round at this bingo site. Established in the year 2015, BBQ Bingo is quickly picking up pace to carve a niche for itself in the online bingo industry. Speaking of the operations in particular and having obtained its license from the Gibraltar Gambling Commission, BBQ Bingo is handled by Virtual Digital Services Ltd in the European states. Whereas, in the Great Britain, BBQ Bingo is operated by the renowned 888 Corporate Group which further has a remote gambling license issued by the UK Gambling Commission. BBQ Bingo aims to provide all its online players with a matchless gaming experience. With a simple yet fun design, this online bingo site is accessible on a host of devices supported by iOS, Android and Windows systems. Offering extensive variants of bingo games including 75 Ball, 90 Ball and 52 Ball, BBQ Bingo also houses some amazing jackpots and slot games to keep you enthralled. BBQ Bingo ensures to comply with the safety and security norms associated with online gambling and gaming. It employs the most advanced security systems where all the transactions taking place at this bingo site are end to end encrypted. Furthermore, to wipe off any doubts regarding game fairness, it possesses the eCOGRA seal of approval and makes use of a Random Number Generator to obtain random results. With BBQ Bingo optimized for mobiles and hand held devices, you get to take along all the fun and excitement wherever you go! By providing compatibility on iOS, Android and Windows devices, BBQ Bingo allows its players to enjoy a wide range of online bingo games whenever they wish to. To access the BBQ Bingo website, simply sign up or login using the browser of your phone and skip the hassle of downloading an app. The BBQ Bingo for mobile is just as easy to navigate as the desktop version and provides the same high quality graphics and game features. You also have access to the same bonuses and promotions available on the go! All this along with an added advantage to play anywhere, anytime. To access the BBQ Bingo website, simply sign up or login using the browser of your phone and skip the hassle of downloading an app. BBQ Bingo is powered by Dragonfish which is one of the most preferred choice under bingo software providers. An independent Business to Business subsidiary of the 888 group, Dragonfish manifests a perfect gaming environment with advanced chat features and smooth game functions at BBQ Bingo. The games powered run seamlessly on a host of devices including handsets and devices that operate on iOS, Android or Windows systems. With the best in class technology that provides high quality graphics and gaming content, Dragonfish ensures to enhance the game play experience. Furthermore, the software works on RNG systems thus making sure the results are accurate and fair. Business to Business subsidiary of the 888 group, Dragonfish manifests a perfect gaming environment with advanced chat features and smooth game functions at BBQ Bingo. The games powered run seamlessly on a host of devices including handsets and devices that operate on iOS, Android or Windows systems. With the best in class technology that provides high quality graphics and gaming content, Dragonfish ensures to enhance the game play experience. Furthermore, the software works on RNG systems thus making sure the results are accurate and fair. An extremely popular variant of the 90 Ball Game, it widely played online simply by purchasing numbered cards. The cards come with 5*5 format with each block featuring a different number barring the center block. This block is empty and is labeled 'FREE'. It's pretty easy to play the 75 Ball game wherein numbers are called and all you need to do is cover or daub the numbers that occur on your card. The player who covers or accomplishes the predetermined pattern first is declared the winner. Full House – To score a full house, you must daub all the 15 numbers on a ticket. Under this version of 52 Cards bingo, you need to buy tickets which are also called 'hands'. Each ticket consists of any 5 playing cards out of the deck of 52 cards. If the playing card called by the caller occurs on your ticket, it will be covered by a chip. The chips spell out the word BINGO and the player to cover each of the 5 playing cards first is declared the winner. Fancy playing a game that includes candies? Well the 52-Candy Bingo lets you enjoy a candy treat along with a great bingo game. Like the name suggests, instead of numbered tickets this 52 Candy bingo game is played with candies. The ticket under this game is called a 'Tray' and the only winning combination is the Full House. A full house is achieved when all the 5 candies are covered. Slot games are by far everyone's favourite when it comes to online games. BBQ Bingo ensures that it provides its players something for every mood and offers a versatile collection that includes famous games likeStarburst, Gonzo's Quest, Berryburst, Bonanza, and Lost Relics. Carrying an ability to change your life in a jiffy, the Jackpot games at BBQ Bingo are far and wide. So, don't miss this chance to win a massive jackpot and give these amazing slot games including Mega Fortune Jackpot, Divine Fortune Jackpot a spin! Along with jackpots on slot games, BBQ Bingo also offers progressive jackpots on bingo games where the prize pot increases each time a ticket is bought. If you are interested to scoop big wads of cash then start playing right away. Scratch and reveal prizes by playing games like Diamond Strike Scratch, Asteroids Scratch, Scratch Gorilla Go Wild, Star Raiders Scratch and Hot Safari Scratch card games which are some of the examples of the scratch card games variety available at BBQ Bingo. BBQ Bingo is turning up the heat with its sizzling new player bonus offer. Upon sign up each player is entitled to receive a 200% match bingo bonus as well as a 100% games bonus as part of the welcome offer at BBQ Bingo. There could be no better way to start your bingo journey but with a fueled bank roll, all you need to do is make a minimum qualifying deposit at BBQ Bingo and get started right after it! Every Monday from 16:00 hours to 18:00 hours, its Happy hours at BBQ Bingo. Playing and depositing during the happy hours will not only double the fun but also your deposits along with your loyalty points. It couldn't get any better, so with no time to spare, deposit minimum £10 to match it up to £100 when Happy Hour is here! Dash to win the race at BBQ Bingo by playing as much as you can by matching different criteria and collecting loyalty points on your way to the finish line but from the comforts of your home. 40 winners who collect the predetermined loyalty points will be rewarded with more loyalty points every month! A notification will be sent to all the winners via an email. 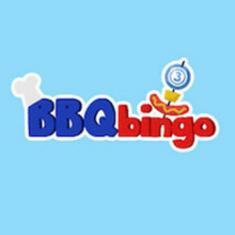 The entry to the Big £10K tournament at BBQ Bingo is restricted with Free cards received via invitation only. Up for grabs is a guaranteed jackpot of £5000 split amongst the winners of FH, 2L, 1 Line, 1TG and 2TG whereas the remaining £5000 would be split proportionately in accordance to the tickets purchased. The tournament takes places on every 10th of each month at 20:00 hours sharp. Additionally, the higher you are on the VIP level, the more tickets you can get for Free! Only 75 Exclusive players get an access to the Late Night Show at BBQ Bingo. Join in on the fun every night at 00:45 and win up to £100 in real money prizes! The best part if you ask us is that the promotion comes with No wagering Requirements attached! A minimum of 96 tickets available at the price of 1p per ticket must be purchased to enjoy the Late Night Show at BBQ Bingo. How about a Wow promotion which will help you spin and win? Open for all the registered and funded players across the BBQ Bingo site, the 'Wow' daily games play from Sunday to Thursday at 21:00 hours. The winners of these games can win up to 100 Free Spins available exclusively on PCs on games as determined by BBQ Bingo authorities. With nothing to lose, grab this chance to claim your free spins! Nothing spells excitement like playing free games. To get an access to all the free bingo rooms you must be an active and funded player at BBQ Bingo and must meet the requisite criteria for each room. The free games play every day at different timings, so make sure to keep a tab on the rooms that run these free bingo games and never miss the fun. The funded players at BBQ Bingo are in for a massive treat with some massive jackpots getting fueled daily. The only thing you need to do is be a funded player and get direct access to these amazing daily jackpot rooms. Some of the jackpot games at BBQ Bingo includes - £10K Sunday Funday, £600 Dreamy Monday, £1500 Terrific Tuesday, £500 Wacky Wednesday, £1000 Wishful Thursday. It pays well to stay loyal with BBQ Bingo. The VIP program at this online bingo site has been bifurcated into four levels namely – Bingo Rookie, Bingo Pro, Bingo Master and Bingo Champ. There are numerous privileges attached to each loyalty level and includes benefits like Free Spins, Bingo or Games Bonus Cash back and Free tickets to exclusive tournaments. To reap the maximum and other benefits like a personal VIP representative and exclusive promotions aim for the highest level every month by collecting bingo jewels. There are a number of devices that are compatible with BBQ Bingo, so the first and most paramount step involves choosing your gaming device. According to your need and preference choose from your desktop or hand held devices supported by iOS, windows and Android systems to kick start your gambling journey at BBQ Bingo. Post settling upon a device, head to the website homepage on your browser. Click on the 'Register' Tab or simply click on the 'JOIN NOW' button available on the right side of the homepage. A form will open up where details like your full name, email address, country of residence, address, gender, date of birth and phone number is required. With all the details completed, your account will be created. Using the bingo user name and password as chosen by you, make your first deposit via any of the available deposit methods. You first deposit itself will help fuel your bankroll by 200% Bingo Bonus and 100% Games Bonus. To have a fire-y good time, start playing for real money. After completing all the above given steps, you can further go on to purchase bingo tickets and have a barbeque party of your own! Please enter your review for the BBQ Bingo .